3 Bedroom End of Terrace House For Sale in Aldershot for Asking Price £325,000. A well presented bright and spacious three bedroom end terrace house set in a small close of similar properties. 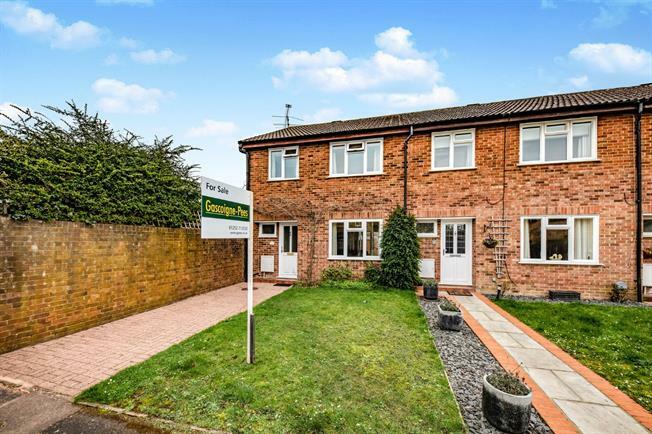 Further features of this property include a generous size front to back living room with dining area, well appointed kitchen and bathroom plus a separate cloakroom. The property has a garage in a nearby block. Double glazed windows. Gas fired central heating system.